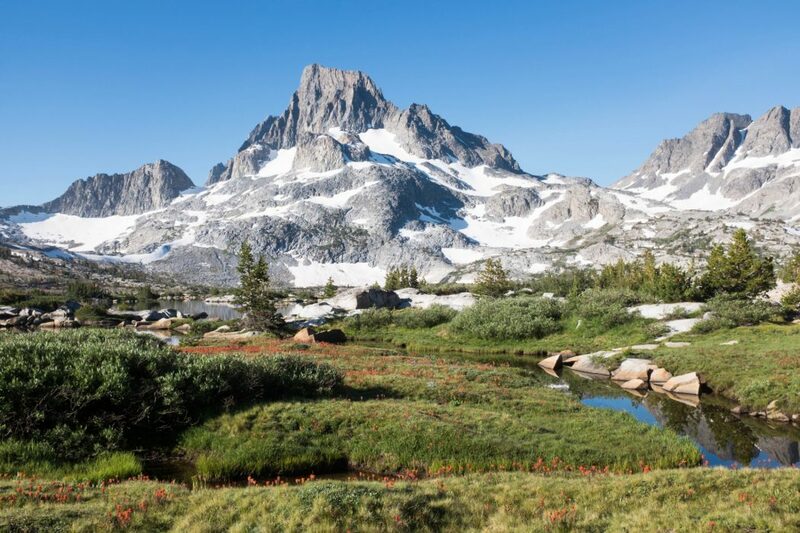 The John Muir Trail is a long-distance hiking trail taking in 338.6 kilometres of California’s Sierra Nevada mountain range. 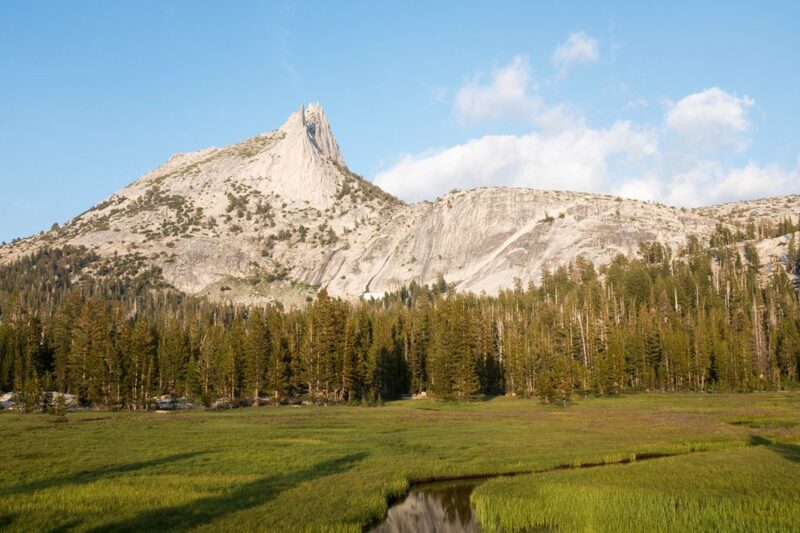 On this visit, we hiked for ten days in August, completing a section of the trail from Devils Postpile to Yosemite Valley. This second post (you can view the first here) covers my experience on the trail between Ediza Lake and Cathedral Peak via Donahue Pass. We broke camp at Ediza Lake, navigating the narrow path along the water’s edge due to the bridge being washed away following the record snow fall. A 90 minute walk through the forest was followed by a steep climb to Garnet Lake, providing an ideal lunch spot with its stunning views of Mount Ritter and Banner Peak. It proved to be a big day of long climbs and spectacular views. 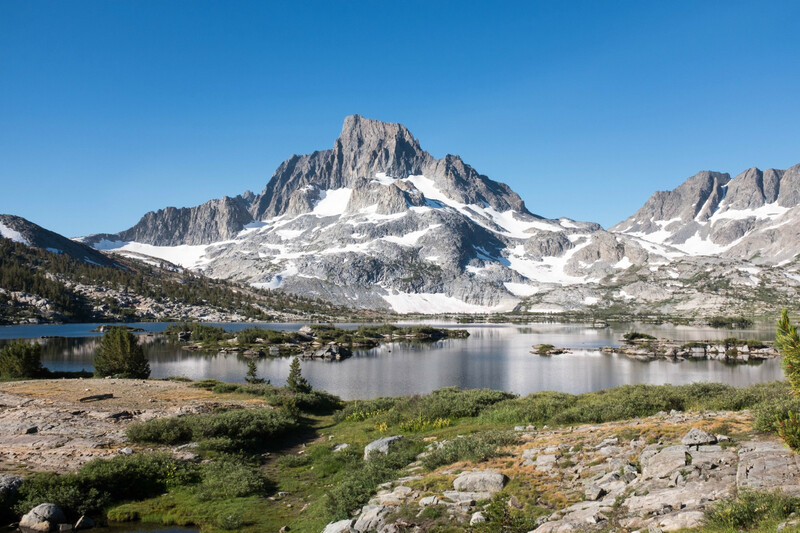 From Garnet Lake, we trekked past Ruby and Emerald Lakes towards Thousand Island Lake with its famed view of Banner Peak. 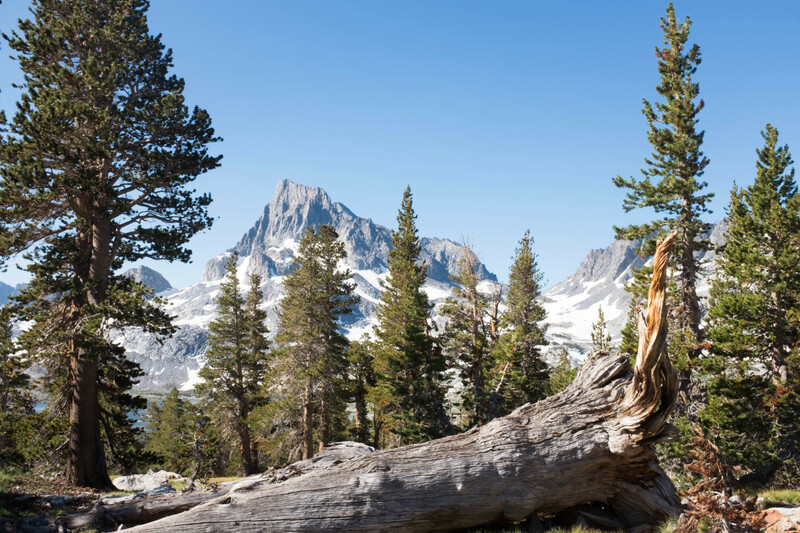 This is one of the most photographed areas in the Sierra National Forest due to the evocative images taken by Ansel Adams in the 1930’s. Brooding thunder clouds greeted us as we arrived at Thousand Island Lake where we discussed our plans for pushing on another three miles to the next campsite. It was here that we took a wrong turn, walking two miles past the planned turn off before one of the group realised our error. Exhausted—it is hard to believe that only nine miles can feel so long—we decided to camp at Thousand Island Lake. That night my shoulders cramped from four days of carrying a twenty kilogram pack. At that point, I could not imagine being able to walk the next day, let alone the almost 20 mile trek we had ahead of use over over Donahue Pass. The next day we woke at dawn, breakfasting by the water’s edge as the sun began to strike Banner Peak. This is probably the best place I have ever woken up. 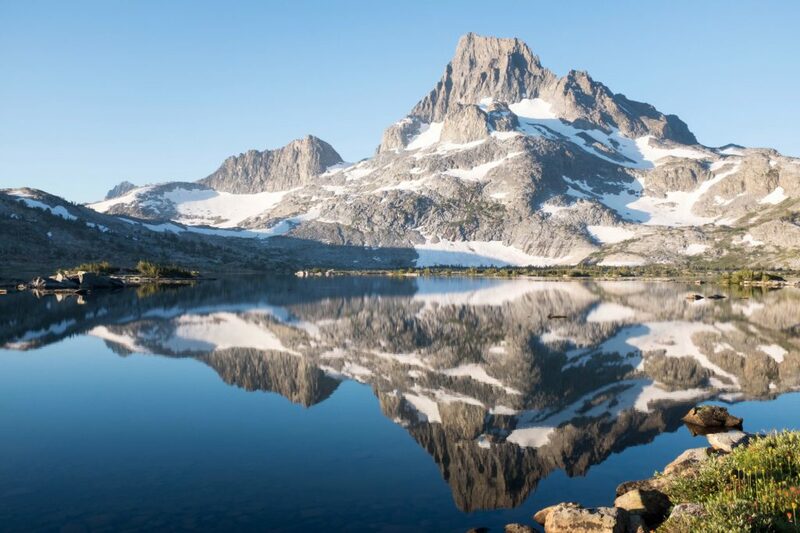 It is simply spectacular with Banner Peak rising from the shore of Thousand Island Lake. The experience of witnessing the sunrise on a clear day is etched in my memory and is one of the greatest natural experiences of my life. Thinking about the day ahead, I decided to walk at my own pace—rather than with the group as I had done the previous four days—, setting out ahead and regrouping at each trail marker. This proved to be an excellent decision as I was able to better manage my energy levels throughout the day. Leaving Thousand Island Lakes, we began the 10 mile climb to Donahue Pass with further eight miles down into Lyell Valley. The bulk of the climb is undertaken within the shade of the forest, providing welcome relief on this warm summers day. Approaching the pass, the landscape changes dramatically to a barren and rocky scene before changing back to lush vegetation a mile or so down the other side. Walking these last miles towards camp, we briefly entertained a hope that we could make it to Tululome Meadows for dinner of hamburgers and beer. As the afternoon wore on, it became clear that this was not a realistic proposition, camping for the night in Lyell Valley. After the majesty of the Thousand Island Lake campsite, this was a non-event and just a place to rest ones weary head. A wash in the freezing creek was followed by a dinner of dehydrated food, made all the worse by the contrast between what we were dreaming of. 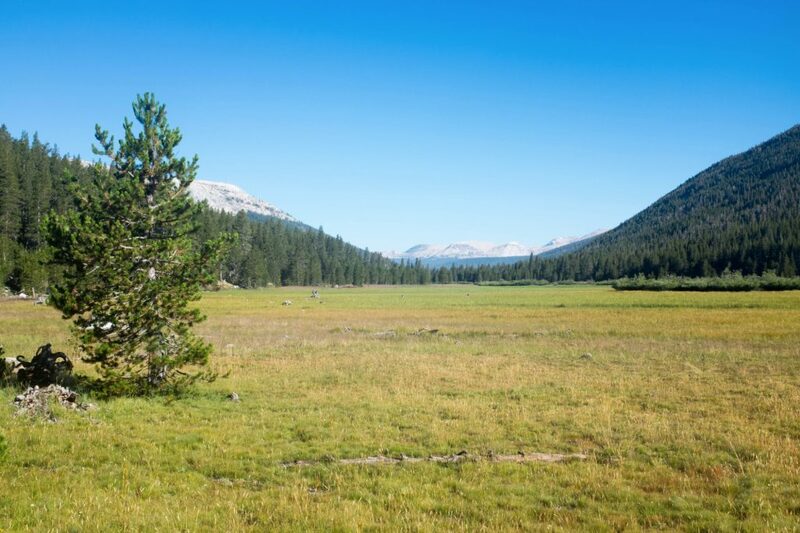 Waking the next morning, I was up and ready to set off early for lunch at Tuolumne Meadows. This, however, was not to be as the rest of the group slept poorly and delayed breaking camp. Unfortunately, I found my energy levels sapped by the delay. 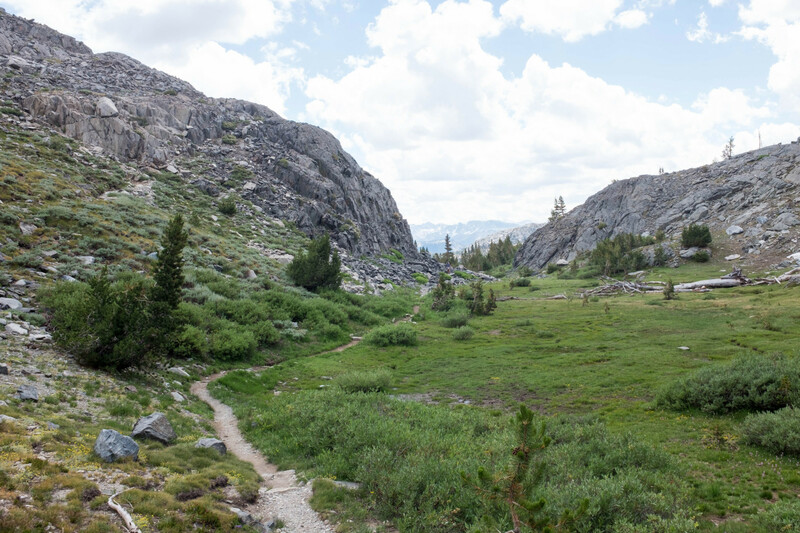 In spite of this being the first flat section we had come across on the JMT, I suddenly felt fatigued with the ten mile slog to Tuolumne Meadows seeming to go on and on (and on). 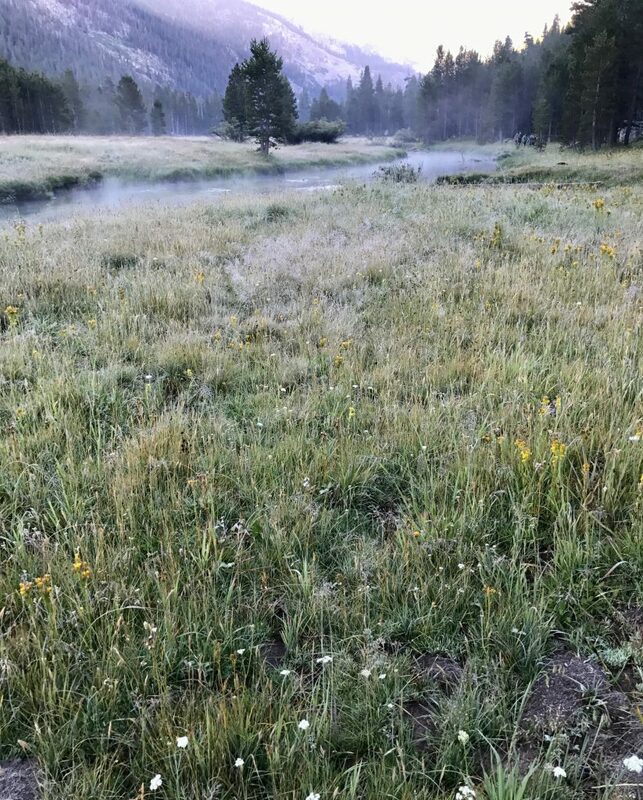 Arriving at Tuolumne Meadows, we were rewarded with the first non-dehydrated food in six days. As anyone who has camped for more than a few days can attest, it is amazing how good a bacon double cheeseburger can taste. The General Store provided our provisions for the next five days before we set off towards Cathedral Lakes for a five mile stretch before camp. The route comprised a long, steep climb ending in a mountain plateau. Lunch provided the much needed energy to push on, arriving at Cathedral Lakes near sunset, which is the best time to view Cathedral Peak. And it was perfect. The sun was striking the mountain, there is a pristine lake, and we found a great campsite in the trees on the north side of the lake. The following day we continued along the JMT to Yosemite Valley via Half Dome; more on this in the next post.